Investigation of self-loading magazine rifles dates back to the early years of the century when a Board of Officers convened at the Armory to test arms of this type. Additional study was carried on down to the war, but progress was not great before 1919. The groundwork of the developments of the next era was laid in the period 1920-1930. The first important chapter begins in 1919 when John C. Garand, then an employee in the Bureau of Standards, submitted to the Ordnance Department plans of a light machine gun operated upon a new principle. The Ordnance Department was not in need of a light machine gun but perceptive officers there thought Garand’s principle could be applied to a semi-automatic rifle. 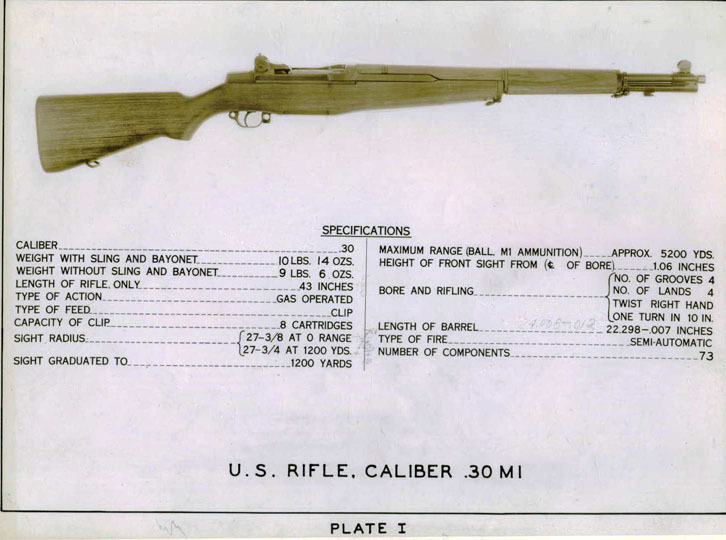 Therefore the Department engaged Garand at a salary of $3600 to undertake the design and construction of a semi-automatic embodying that principle, and in October 1919, armed with his sketches and partly completed drawings, Garand reported at the Springfield Armory. Here was to be the scene of his research and constructive labors for the next twenty-four years. Experiments with design and construction of semi-automatics at the Armory involved three different persons, each approaching the problem from a different standpoint, Captain James L. Hatcher, John C. Garand, and John D. Pedersen. Captain Hatcher, Officer in Charge of the Experimental Department from May 1919 to January 1922, by instruction of the Ordnance Department undertook redesign of the Bang gun, a semi-automatic which had given promise in tests before the war. After tests in 1922 this project was dropped at the Armory. Mr. J. D. Pedersen, an inventor and engineer by profession, entered into a contract with the government in 1923 to develop and construct a semi-automatic embodying principles to which he had already given study.Two renewals of contract, one in 1929 and another in 1930, perpetuated his activity on this work down to 1931. 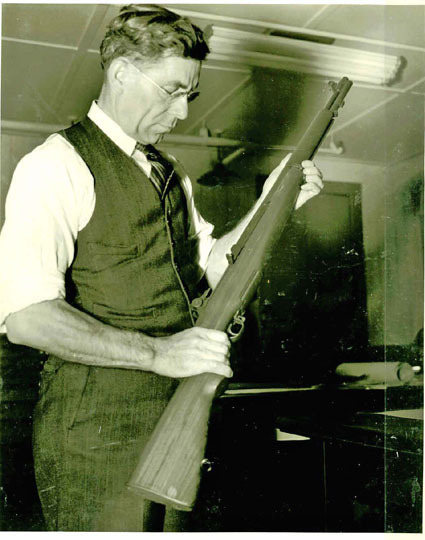 Of the three men brought in to work on the project, John C. Garand, as a civil service employee at the Armory, was the only man to be kept on the assignment steadily from 1919 through the middle thirties when manufacture of his officially adopted arm began. The Ordnance Department’s general requirements for a semi-automatic, as listed in 1923 in the contract with Pedersen, specified that the new arm should weigh as near eight pounds as possible and not more than 8 ½; that it should be as near .30 caliber as possible and not less than .276 caliber; that muzzle velocity should be at least 2450 feet per second; that the trajectory should be only slightly more curved than for the 1903 rifle up to 500 yards; and that accuracy should be obtainable at 800 yards and effective energy at 1000 yards. With these problems before him each man set to work.